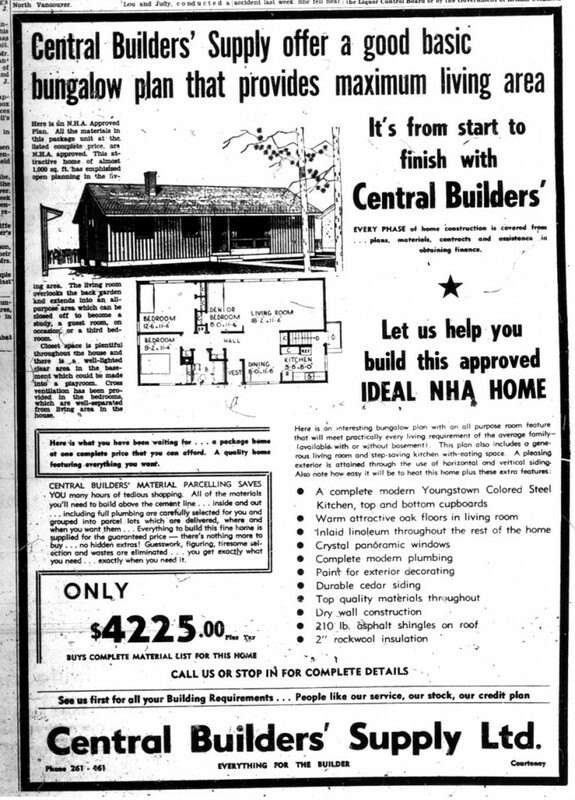 Amazing deal being offered by Central Builders’ Supply – basically an entire house for just over $4000! But wait, wait…the sale ended 56 years ago. Darn. It still makes for fun reading though so check out this ad from the August 20, 1958 edition of the Comox District Free Press.